Success! Mirriam from Kenya raised $1,224 to fund clubfoot repair. 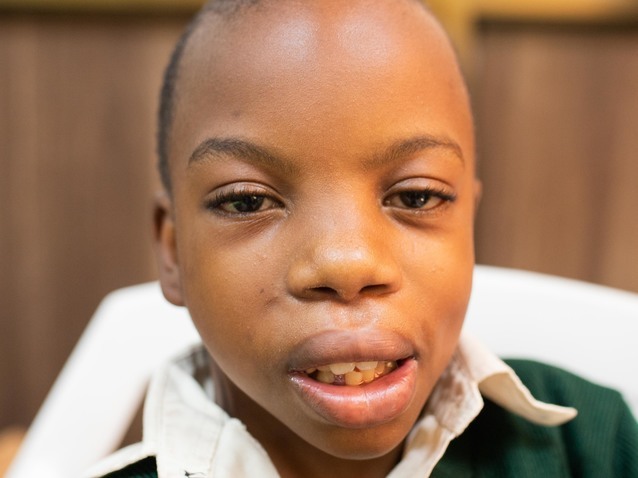 Mirriam's treatment was fully funded on November 30, 2018. Surgery was successful. She will be able to walk after she recovers, and she will be able to go to school. Mirriam is a young student from Kenya. She is the oldest in a family of three children. Mirriam has clubfoot of both feet. Clubfoot is a condition in which the foot is twisted out of shape. This causes difficulty walking and even wearing shoes. Fortunately, Mirriam traveled to visit our medical partner’s care center, AIC Cure International Hospital. There, surgeons will perform clubfoot repair surgery on November 18. Our medical partner, African Mission Healthcare Foundation, is requesting $1,224 to fund Mirriam’s clubfoot repair. After treatment, she will be able to walk and stand on her own. Mirriam's case was submitted by Joan Kadagaya at African Mission Healthcare Foundation in Kenya. Mirriam was submitted by Joan Kadagaya, Curative Medical Support Program-Partner Representative at African Mission Healthcare Foundation, our medical partner in Kenya. Mirriam's profile was published to start raising funds. 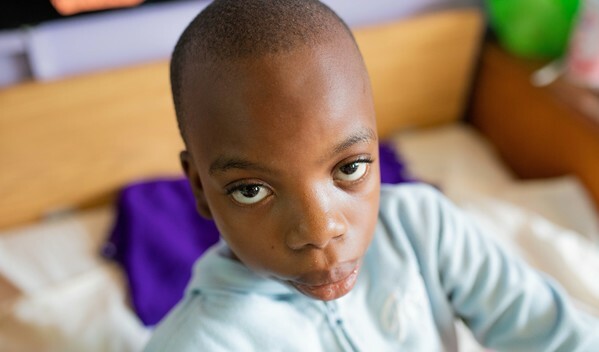 Mirriam received treatment at AIC Cure International Hospital. Medical partners often provide care to patients accepted by Watsi before those patients are fully funded, operating under the guarantee that the cost of care will be paid for by donors. Mirriam's treatment was fully funded. Mirriam's treatment was successful. Read the update. Mediony is a student from Haiti. He lives with his parents, grandparents, and brothers and sisters in the mountains of southern Haiti. He has not yet been attending school because of his illness, and instead helps his mother around the house. Mediony has a cardiac condition called Tetralogy of Fallot. This condition involves several related defects including a hole between two chambers of the heart and a muscular blockage of one of the valves. Mediony will fly to the United States to receive treatment. On May 3, he will undergo cardiac surgery, during which surgeons will use a patch to close the hole in his heart, and will remove the muscular blockage in his valve. Another organization, HeartGift Foundation, is contributing $18,000 to pay for surgery. Mediony's family also needs help to fund the costs of surgery prep. The $1,500 bill covers labs, medicines, and checkup and followup appointments. It also supports passport obtainment and the social workers from our medical partner, Haiti Cardiac Alliance, who will accompany Mediony's family overseas. His mother says, "I am praying that my son will become normal and healthy after his surgery!" 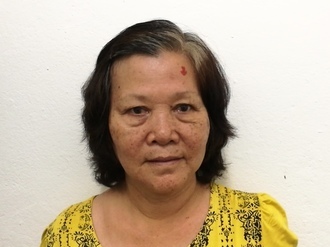 Vannary is a 64-year-old teacher from Cambodia. She has four children and seven grandchildren, and she enjoys watching the news on television in her free time. Four years ago, Vannary developed a pterygium in both eyes, causing her irritation and tearing. Pterygiums are non-cancerous growths of the conjunctiva, a mucous layer that lubricates the eye. The growths occur when the conjunctiva is exposed to excessive sun damage and the cells grow abnormally over the pupil. She has difficulty seeing things clearly, recognizing faces, working, and going anywhere outside. When Vannary learned about our medical partner, Children's Surgical Centre, she traveled for one hour seeking treatment. Vannary needs a surgical procedure to remove the abnormal conjunctiva from the cornea surface and replace it with a conjunctival graft to prevent recurrence. The total cost of her procedure is $201. This covers medications, supplies, and inpatient care for two days. The procedure is scheduled for April 22. She says, "I hope that after my surgery, I will be able to see clearly and will no longer have any tearing or irritation."